Classic Sugar Maple wooden rings. Simply, beautiful and understated. 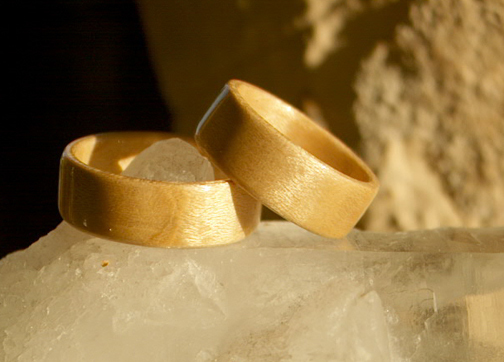 These Maple Wood rings were commissioned as wedding rings.